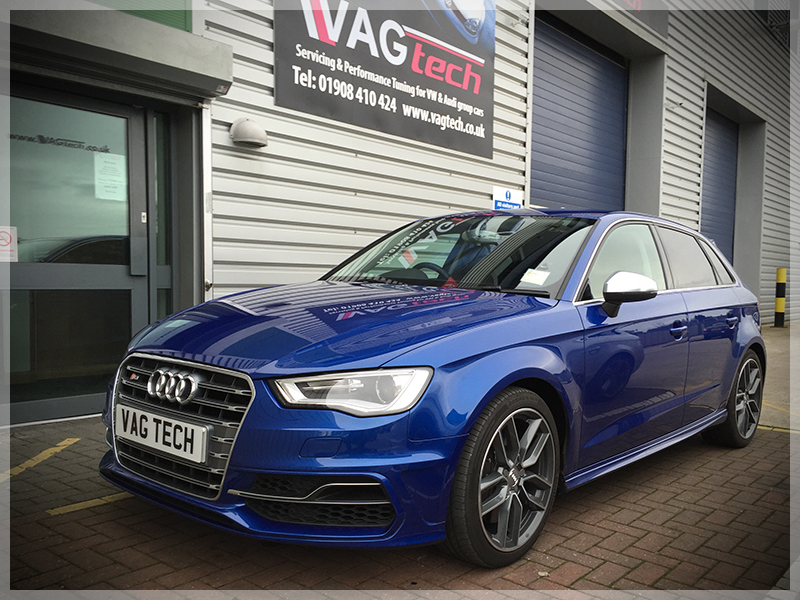 MK3 audi S3 tuned at VAGtech with Revo stage 1 software an impressive gain of up to 75 BHP and 80 FT/LB of toque. Software is flashed through the ODB port. Stage 1 comes as a result of months of development, rigorous testing plus real world performance evaluation on our own development vehicles. Revo performance software can be flashed directly through the OBD2 port with no need for ECU removal. Our test vehicles have clocked repeatable 0-60 MPH times of 3.7 seconds along with a 0-100MPH times of just 9.2 seconds using Racelogic GPS performance equipment. Car tested on private test track, on road legal tyres on Shell vPower. An impressive improvement over the manufacturer quoted times of 4.9 seconds to 60MPH and 12.3 to 100MPH for the DSG equipped test mule.